Now, I know it’s November, but everywhere else seems to be talking Christmas, sounding Christmas or Looking all things Christmas, so I thought Id kick off the first of my (probably) many Christmas posts with a gift guide for him with a particular focus on gift sets that are really worth considering. When I say ‘That’ man, it means any man in your life who is special to you; be it your Husband, Partner, Brother, Dad Etc etc. First of all I want to talk about the L’occitane Christmas gifts for men. It goes without saying, L’occitane is such a good all round brand including skincare, haircare, fragrances and much more. Whenever I see L’occitane, I always see elegance and class and that’s why their gift sets for men are the perfect gift this Christmas. With a range of gift sets and products to choose from, the man in your life will no doubt be pleasantly surprised with these! John Lewis also have a whole range of Christmas gift sets for men. These all range in prices so whatever your budget, you will definitely find something from their range. The thing I like with a gifts is that the present always seems that little bit more glamorous than just one or two product packaged separately. Also, you always get more for your money in a gift set because you are effectively buying in bulk – so they are definitely a good buy! Boots do a number of various gift sets that are on the cheaper side. The thing I like about Boots is that their gift section is always so varied and reasonably priced at the same time! 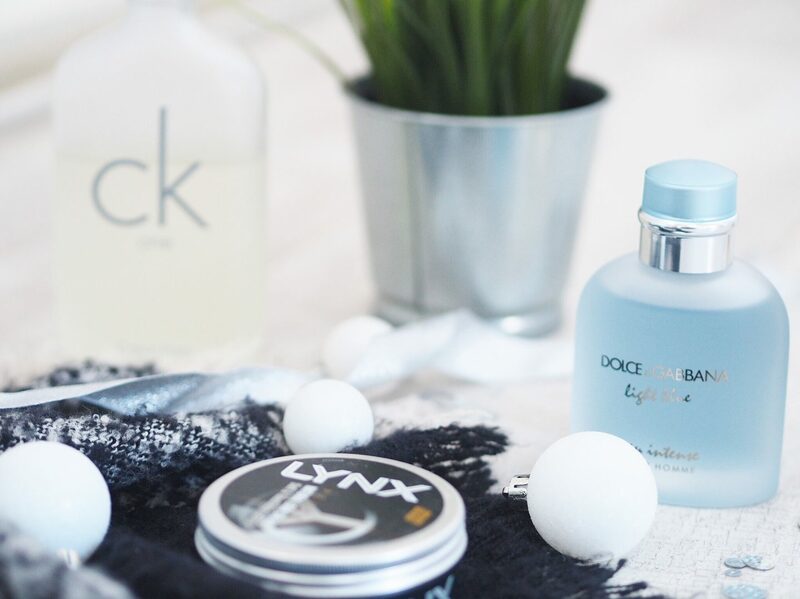 You can still pick up gift sets from higher end brands like Ted Baker, but then you can also pick up cheap sets from Lynx and Jack Wills etc – so the options are definitely there! Now how can I go through this post and not mention the one and only ASOS. Their Gift sets come in all shaped and sizes and offer a good variety. So there we have a few ideas of where you can pick up some idea Christmas gifts for guys, whether that be your boyfriend, husband, Dad, Grandad, Brother etc, all of these bits are a great idea and won’t break the bank as well! I’ll be back with some more Christmas posts soon…. I like this one! Great perfume! I wish that someone buy me this one for gift! Men are always so hard to buy for! They tend to have everything they need so a gift set is a lovely idea. I need this start getting organised before it’s too late. Thanks for the ideas lovely. I’m getting so excited for Christmas but I always think it’s so hard buying for men! These are always good go-tos though especially Boots. I need to get buying!! Getting me super excited for Christmas, eeekkk!